WHERE IS THIS PICTURE TAKEN? Danum valley? Crocker Range National Park? Or some faraway virgin jungle; which takes hours to reach? NO! IT IS SIGNAL HILL! 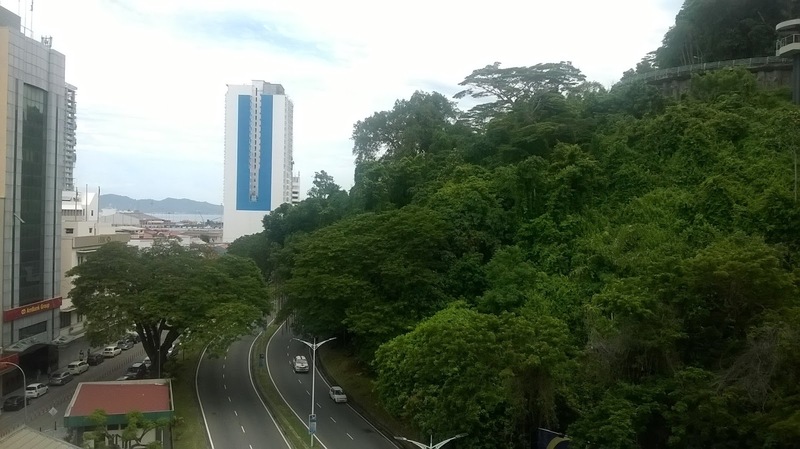 I was amazed to see right in the heart of our city in Jesselton, we still have this intact forest. 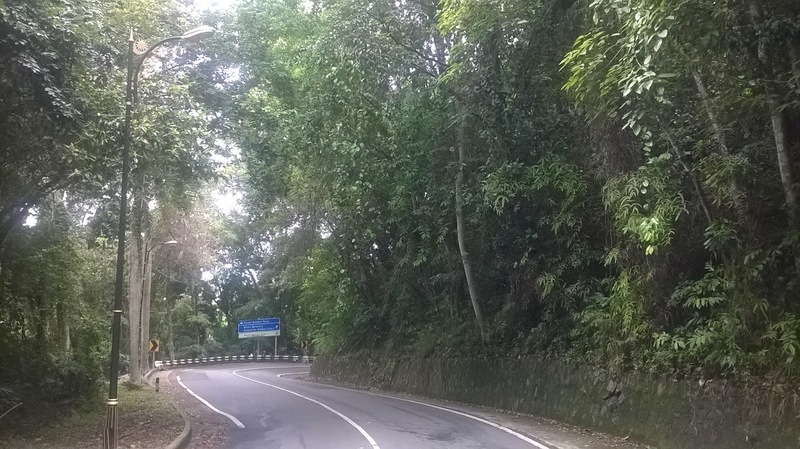 After shopping at Suria Complex or having lunch at the Little Italy, one could simply walk towards this hill and enjoy the scenery. I did just that; but only reaching the foothill. I could hear the songs of insects and birds chipping just like what we will hear if we go deep into the jungle. If you close your eyes, you will definitely feel your are in the middle of the forest. 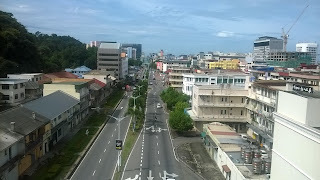 I took these pictures from the Menara Jubilee (Jubilee Complex) because it is so difficult to find parking below. This place is actually a public parking bay for cars. From the 3rd floor right up to the 6th floor, the parking lots were filled up. I cursed for having to park right to the top of this complex. But as I came out of the car, I found out I made a mistake cursing. 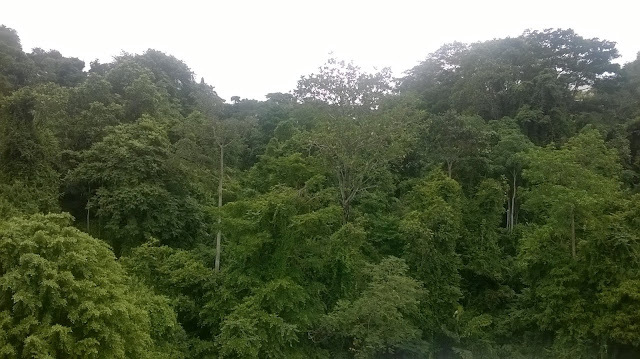 The sight up here is awesome; but because of the wonderful jungle nearby. The second picture above is facing north of the city and the third picture is facing south. According to the Dictionary.com, green lung means; an area of parkland within a town or a city, considered in terms of the healthier environment it provide. Wiktionary define green lung as an area of natural parkland within an urban region; supposed to replenish the air with oxygen! Before 1970, within the forest of Jalan Istana, there used to be the nostalgic structures of beautiful colonial houses. Few shacks still can be seen nowadays hidden somewhere deep inside. Just like the colonial buildings, I am very worried that these green lungs all around Jesselton will also disappear giving ways to concrete jungle. Right as I speak now, huge track of former green lung had been destroyed at Jalan Kolam (Pool Street) giving way for a huge courthouse. The problem is we Asian loves concrete jungle; and hates anything that is green! Unfortunately, our authority also shared this feeling. SO SAD!